Randall Garrett and Laurence M. Janifer wrote novels under the joint pen-name of Mark Phillips. 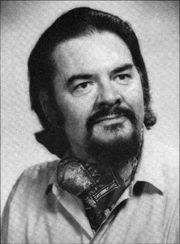 Randall Garrett and Robert Silverberg wrote as Robert Randall. Also wrote as David Gordon, John Gordon, Darrel T. Langart , Alexander Blade, Richard Greer, Ivar Jorgensen, Clyde Mitchell, Leonard G. Spencer, S. M. Tenneshaw and Gerald Vance. Randall Garrett's book Fire was available from LibraryThing Early Reviewers. Randall Garrett is currently considered a "single author." If one or more works are by a distinct, homonymous authors, go ahead and split the author. Randall Garrett is composed of 15 names. You can examine and separate out names.